The links below explain Third Angle Orthographic Drawing. You may need to study these pages before moving on to the Art Deco Container question, lower down the page. 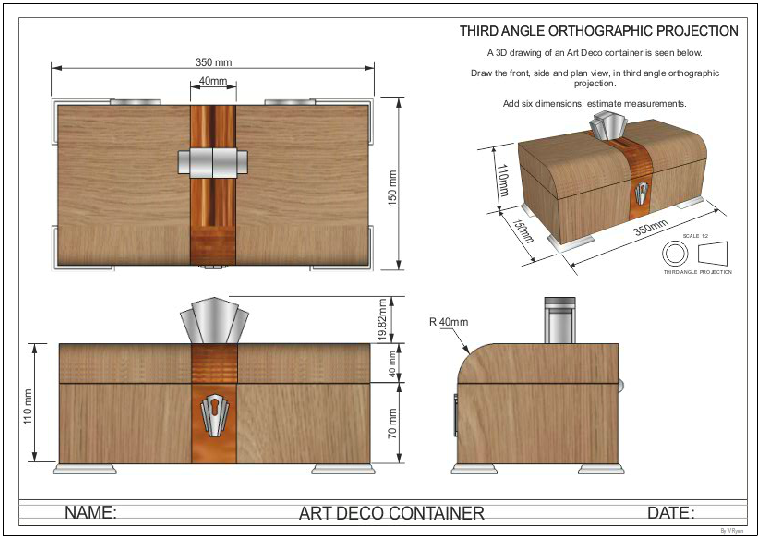 A 3D drawing of an Art Deco container is seen below. 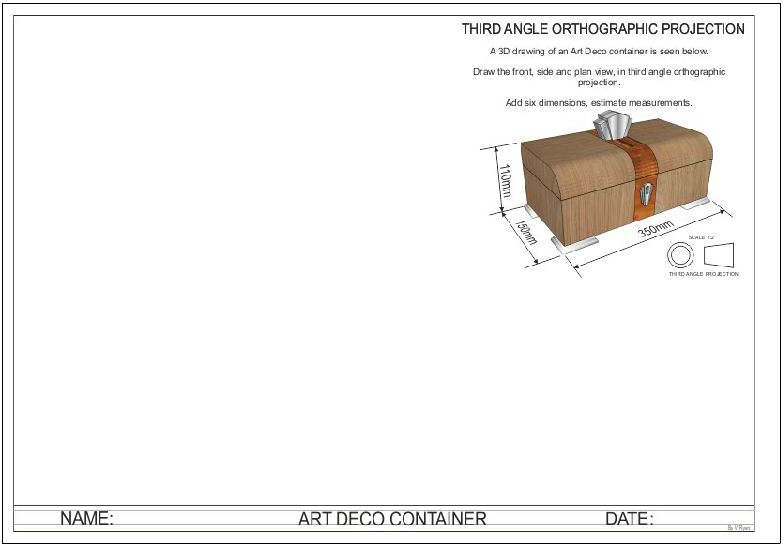 Draw the front, side and plan view, in third angle orthographic projection. 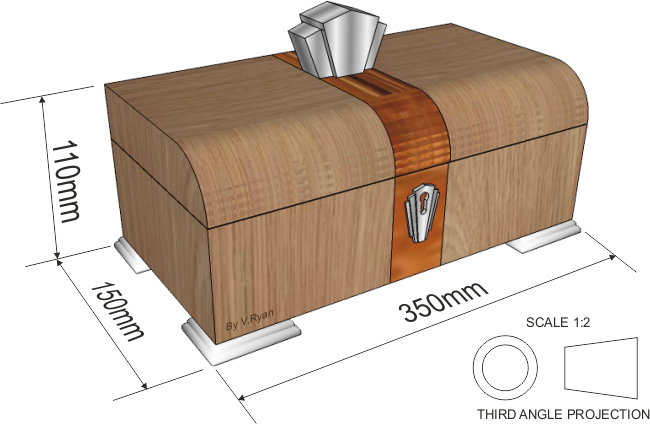 Add six dimensions, estimate measurements.